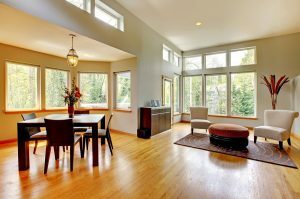 Majors Home Improvement knows what Panama City, Florida, homeowners need when it comes to residential windows. That’s because we’re a family-owned and -operated company that has been serving the Sunshine State since 1997. We’re Florida homeowners ourselves, which means we understand your unique needs better than most. We know our residential windows must be energy efficient because summers in Florida can be brutally hot and your air conditioner has to work overtime to keep your home comfortable on those 100-degree days. We know our windows must be strong, able to stand up to hurricane-force winds and rain. And, they must be beautiful – because who wants unattractive windows on their home? At Majors, you can count on all of this and more with our Majors Select™ Residential Windows. They are made in Florida, for Florida homeowners. Style – Choose from single hung, double hung, slider, casement, storm, bay, and many other styles. Frame colors – We offer numerous exterior colors for the window frames, as well as interior woodgrain finishes. Grid and glass designs – Select the exact style of grid you want; we offer flat, contoured, and other styles. We also offer various glass tints to add an extra level of elegance to your home. Hardware options – We offer a variety of beautiful hardware options to finish off your windows in a sophisticated way. To learn more about our residential windows, contact Majors Home Improvement today. When you do, we’ll be happy to tell you about the financing options we offer to homeowners in Panama City.